Have you ever wondered about where insects go in the winter? It turns out that different kinds of insects have different strategies for avoiding the stresses of winter. I found two examples of one strategy this morning. The tactic is for the female insects to lay eggs in the fall. Eggs are often more resistant to cold and drying out than other life stages and can be hidden in protected places. In the spring, the eggs hatch and start the cycle again. This cluster of eggs is on a grapefruit leaf. It will be interesting to find out what kind of insect they hatch into. Here is the second example. 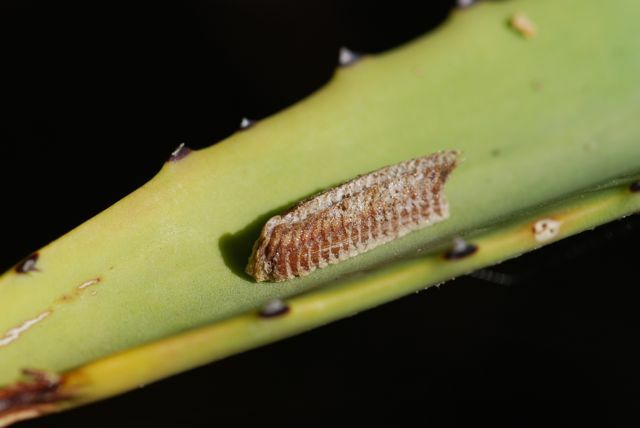 It is an egg case of the Mediterranean mantis, Iris oratoria. 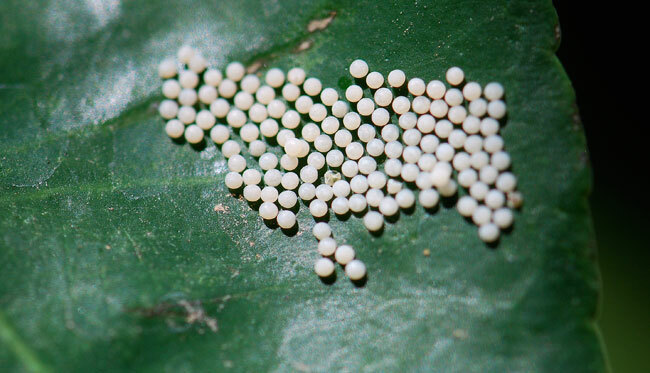 The female mantis has added a layer of hard foam around her eggs to further protect them. Have you found any overwintering insects lately? What was their strategy to protect themselves from the cold?